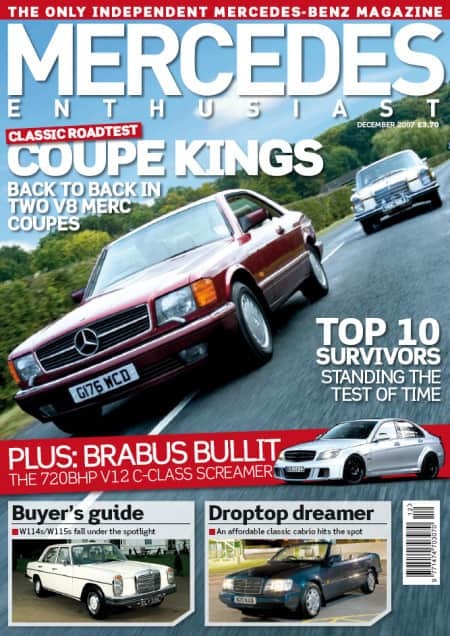 I am an avid reader of UK-based Mercedes Enthusiast magazine. I don’t subscribe but rather choose to buy it at the newsstand at Grand Central. I pay the cover price because the magazine helps makes the torturous Metro North commute more tolerable. At $12 per copy, I actually look forward to purchasing a new issue each month. 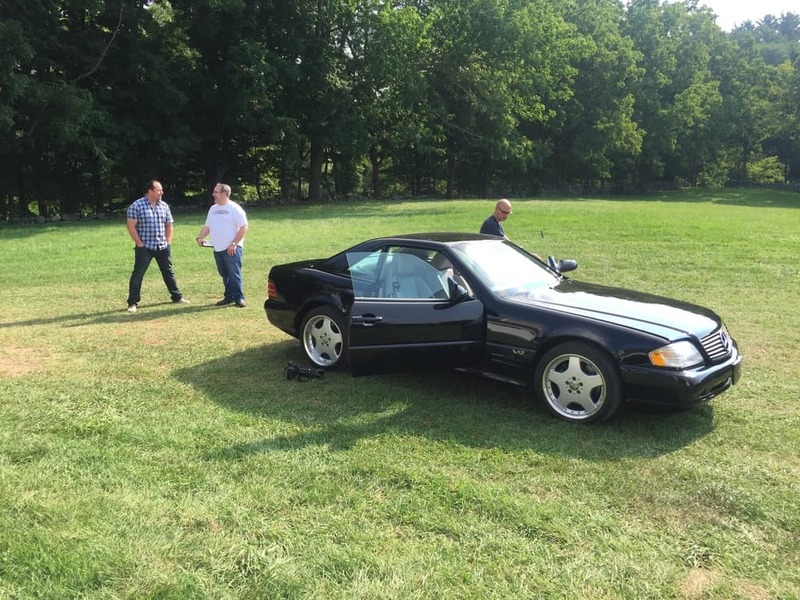 Recently, Mercedes Enthusiast ran a comprehensive story on an ultra-low mile Mercedes 560 SEC. As regular Turtle Garage readers know, the W126 SEC is one of my favorite cars on the road. As I read the magazine I fantasized about a similar article on my delivery-mile R129 SL 600 V12. On a whim I decided to reach out to the magazine to see if they had interest in doing a piece on my car. I found an email address somewhere on the masthead and I drafted a short note to an unknown person somewhere across the Atlantic Ocean. A few days later Reed Hitchcock wrote back a friendly email and said they would like to do a story. After a few attempts we settled on a date for an interview and photo shoot. On Saturday Reed and his incredibly talented photographer Kaveh Sardari arrived at 6:30 am. 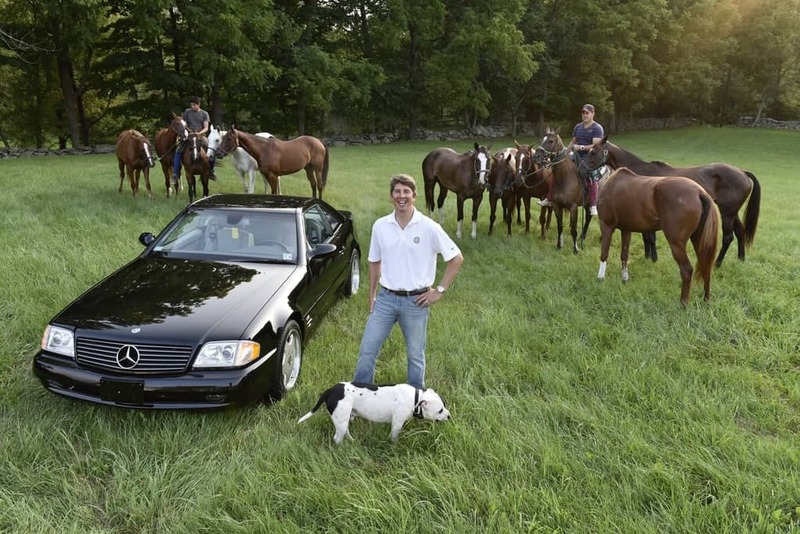 I invited Dean Laumbach to join us as he is the reason I own that special 187-mile SL 600. Dean found the SL, negotiated the deal, and made it all happen—all while I was Cuba communicating with very unreliable text messaging! Everyone had driven up to Bedford the night before after spending a tough week at their “day jobs.” Similar to how I write for Sports Car Market, Reed moonlights as a car writer on weekends. Kaveh had just finished a photo shoot with President Obama the night before. 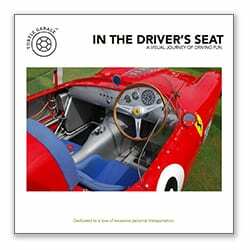 Reed, Kaveh and Dean all are real enthusiasts and exude true car passion. We started wandering around my garage as Reed instantly gravitated towards the Mercedes E500 sedan—ironically he just purchased a gorgeous and rare Pajet Red 500E. While we were talking “500E speak” Kaveh exclaimed “Get the car!!! Hurry! The light is perfect!!!! Move it move it move it!! !” Reed and I looked out the garage door and there were Nick Manifold’s twelve polo ponies being exercised on the field in front of my garage. Suddenly we both saw what Kaveh saw. It was the ultimate photo op!!! We hastily backed the black SL out of the Turtle and put it on the field. Kaveh motioned to the two outriders to bring the gaggle of ponies over for a photo. We must have shot 400 photographs. We then spent the next several hours photographing the SL 600 from every angle. We also hit the road and did some action shots. Reed interviewed Dean and got the full story behind this rare and special car. Reed writes his own blog called Totally That Stupid and did a great piece on our Saturday photo shoot. I have cut and pasted his post below. His entire blog post can be accessed here. Back to the garage. More detail shots of the car. Every single bit that’s interesting. Keep an eye out for the upcoming article in Mercedes Enthusiast. We expect to see it published in the fall. Dean and Reed enjoying the morning while Kaveh is hard at work! 3 Responses to Mercedes Enthusiasm! And what’s better is that we’re planning to go back for more… Maybe I’ll have to drive the 500E up next trip…..! Let’s do a story on the 560 SEC and the Black Series!